Laplane’s inventive piece for eight dancers features whistling (Sibilo is “whistle” in Latin) with additional music from Glasgow’s Alex Menzies that modulates from electronica to mid-century pop music. The result is hilarious, moving and eccentric. Also on the program for the Choreographic Festival is a world premiere from celebrated choreographer and BalletMet Artistic Director Edwaard Liang, along with premieres by Ballet West artists Emily Adams, Katlyn Addison and Trevor Naumann. This year, the festival will also offer ancillary events, adding educational and entertaining experiences. On Wednesday, May 8 at 7 p.m. at the Rose, Ballet West will screen Danseur, a recently released independent film from Scott Gormley that explores gender inequality in ballet, and shines a light on bullying, homophobia and other barriers for young men in the industry. Tickets are $8 for adults and $5 for students. Afterward, dance teacher and journalist Kate Mattingly will lead a panel discussion with Adam Sklute and Ballet West dancers. Ticket holders are also encouraged to attend Warm-Ups in the Rose Room. These free educational lectures one hour before evening performances will be hosted by artistic directors, choreographers and dancers. Finally, local artists will makeover the balcony of the Rose Wagner with an exhibit, “Art of Ballet” displaying the oil, photography and contemporary works showing the athleticism and beauty of the art form. Past presenters at the Choreographic Festival include Pacific Northwest Ballet, Pennsylvania Ballet, Cincinnati Ballet and others. 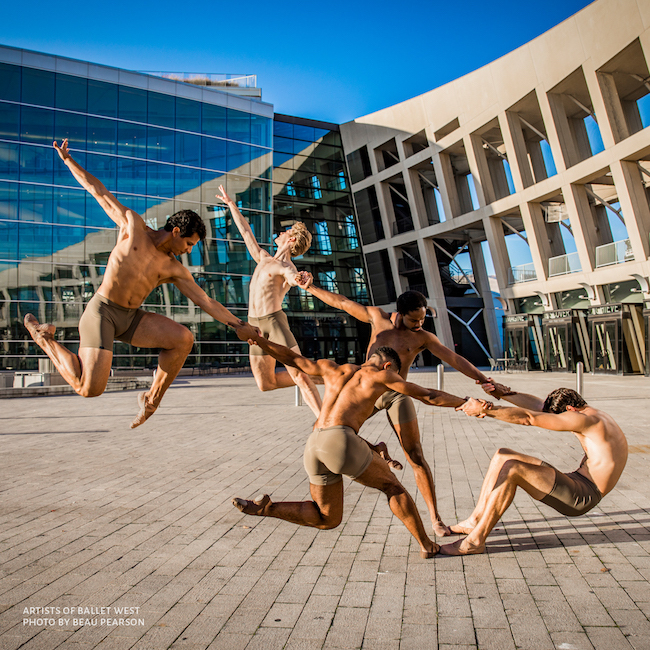 The Choreographic Festival will be held at the Rose Wagner Performing Arts Center, located at 138 Broadway in Salt Lake City, Utah. Tickets start at just $50, and are available by calling (801) 869-6900, or online at www.balletwest.org. Photo: Artists of Ballet West. Photo by Beau Pearson.